My September 11th tribute as part of Project 2,996 is to Mildred Rose Naiman, 81, from Andover, MA, the town next to my hometown. According to WBZ Boston, over 200 people with ties to Massachusetts died on 9-11-01. 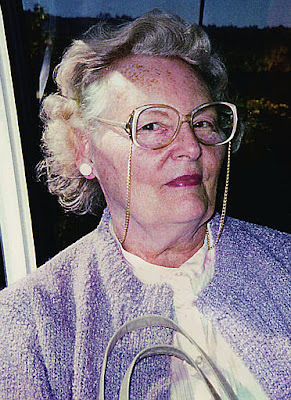 Today, on the sixth anniversary of her death, we celebrate the life of Mildred Rose Naiman. May she, and the other 2,995 tragically murdered on that day, rest in peace. *Project 2,996 is an important online initiative to keep the memory of those who died on 9/11 alive and to honor them each through individual memorials. For those of us who were fortunate to not have lost anyone on that day, it really personalizes and brings home each loss. Their individual lives can get lost in the intolerable and overwhelming number killed on 9/11, so we owe it to each of them to make them more than just one of 3,000. Because links have gotten old and broken, there are thousands of 9/11 victims who no longer have a memorial blog post - please go to Project 2,996 to learn more and participate on your own blog. STFU and Let's Get This Done!